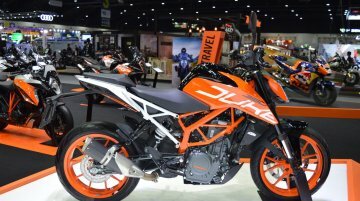 The 2017 KTM 390 Duke and the 2017 KTM RC 390 have been showcased at the 2017 Thai Motor Expo. 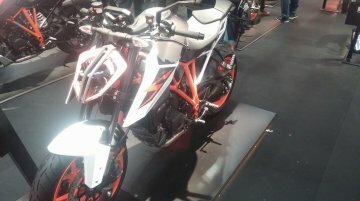 Here are the bikes’ live images from the show. 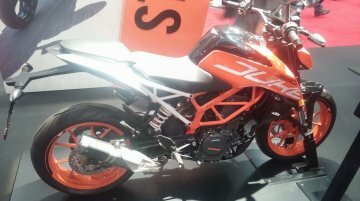 2017 KTM 390 Duke: The 2017 KTM 390 Duke..
KTM unveiled the 2017 KTM Duke 390 at EICMA in November 2016, and the updated version of its faired sibling, the KTM RC 390, have both been showcased at the New York Progressive International.. 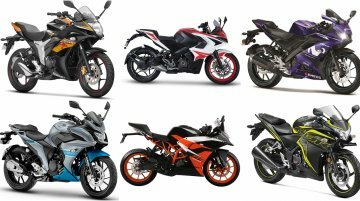 The Kawasaki Ninja 300 is positioned against the Yamaha R3 and KTM RC 390. 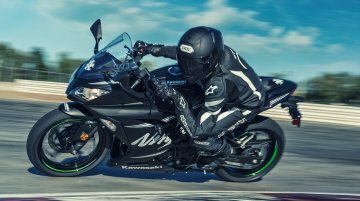 The Kawasaki Ninja 300 has been introduced in its 2017 avatar for the United States. 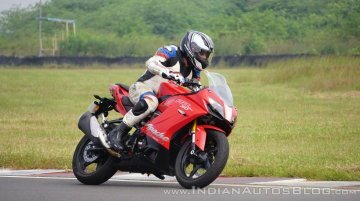 The standard trim remains unchanged..
TVS Motor Company has recently launched its flagship faired performance motorcycle, the TVS Apache RR 310. 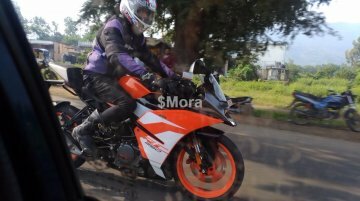 Its chief competitor in the segment is the KTM RC 390. 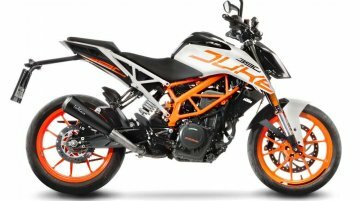 Leo Vince, the Italian exhaust specialist, has launched the GP One exhaust for KTM motorcycles. 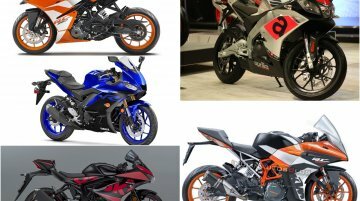 The exhaust is compatible with the 2017 KTM 390 Duke, RC 390 and the export models - 125 Duke and RC.. 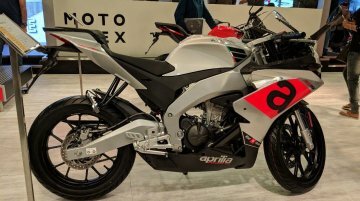 The fitment will cost INR 9,000 excluding labour charges and taxes. 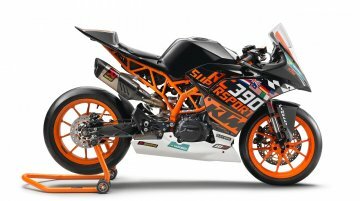 The owners of the older models of the KTM 390 Duke and KTM RC 390 can now install slipper clutch through some authorized KTM..
"The Beast 2.0" by KTM reaches New York. 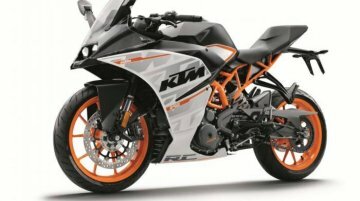 Along with the KTM Duke 390, KTM RC 390, KTM 1090 Adventure R, KTM 1290 Super Adventure R and KTM 1290 Super Adventure T, KTM has showcased the 2017 KTM Sup..